Figure 1. 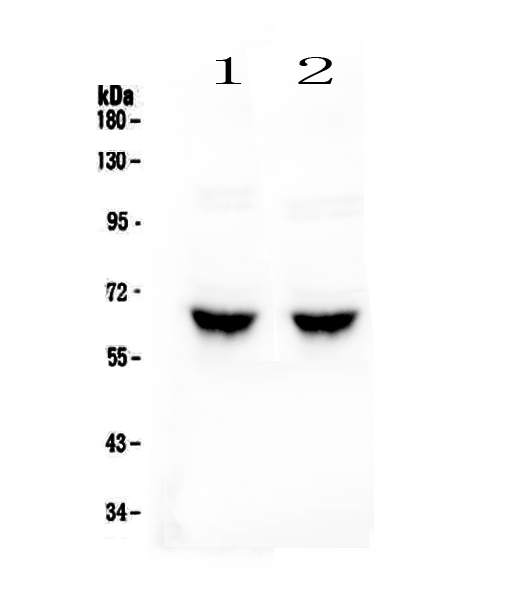 Western blot analysis of GAD65 using anti-GAD65 antibody (A03142-1). Electrophoresis was performed on a 5-20% SDS-PAGE gel at 70V (Stacking gel) / 90V (Resolving gel) for 2-3 hours. The sample well of each lane was loaded with 50ug of sample under reducing conditions. Lane 2: mouse brain tissue lysates. After Electrophoresis, proteins were transferred to a Nitrocellulose membrane at 150mA for 50-90 minutes. Blocked the membrane with 5% Non-fat Milk/ TBS for 1.5 hour at RT. The membrane was incubated with rabbit anti-GAD65 antigen affinity purified polyclonal antibody (Catalog # A03142-1) at 0.5 μg/mL overnight at 4°C, then washed with TBS-0.1%Tween 3 times with 5 minutes each and probed with a goat anti-rabbit IgG-HRP secondary antibody at a dilution of 1:10000 for 1.5 hour at RT. The signal is developed using an Enhanced Chemiluminescent detection (ECL) kit (Catalog # EK1002) with Tanon 5200 system. A specific band was detected for GAD65 at approximately 65KD. The expected band size for GAD65 is at 65KD. Figure 2. 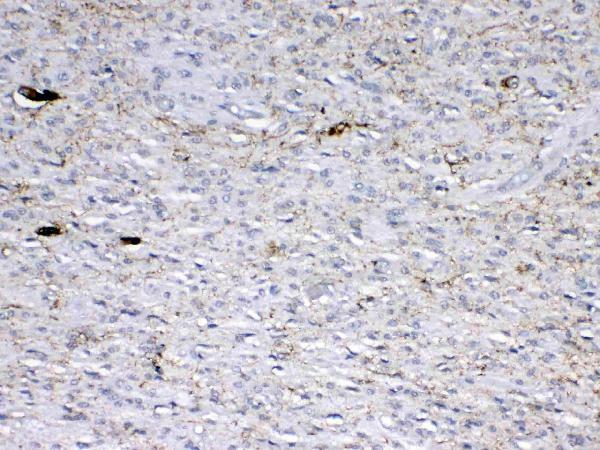 IHC analysis of GAD65 using anti-GAD65 antibody (A03142-1). GAD65 was detected in paraffin-embedded section of human glioma tissue. Heat mediated antigen retrieval was performed in citrate buffer (pH6, epitope retrieval solution) for 20 mins. The tissue section was blocked with 10% goat serum. The tissue section was then incubated with 1μg/ml rabbit anti-GAD65 Antibody (A03142-1) overnight at 4°C. Biotinylated goat anti-rabbit IgG was used as secondary antibody and incubated for 30 minutes at 37°C. The tissue section was developed using Strepavidin-Biotin-Complex (SABC)(Catalog # SA1022) with DAB as the chromogen. Figure 3. 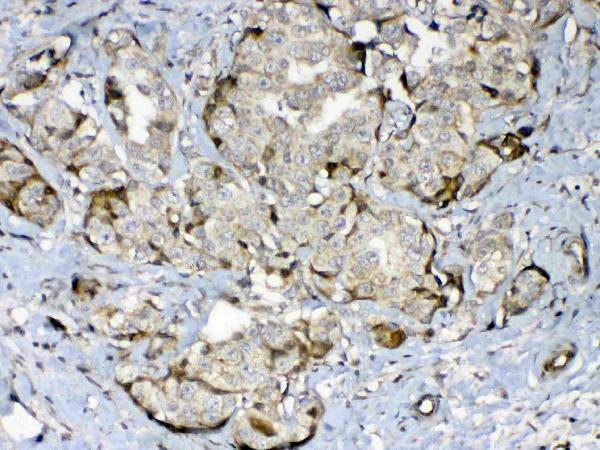 IHC analysis of GAD65 using anti-GAD65 antibody (A03142-1). GAD65 was detected in paraffin-embedded section of human mammary cancer tissue. Heat mediated antigen retrieval was performed in citrate buffer (pH6, epitope retrieval solution) for 20 mins. The tissue section was blocked with 10% goat serum. The tissue section was then incubated with 1μg/ml rabbit anti-GAD65 Antibody (A03142-1) overnight at 4°C. Biotinylated goat anti-rabbit IgG was used as secondary antibody and incubated for 30 minutes at 37°C. The tissue section was developed using Strepavidin-Biotin-Complex (SABC)(Catalog # SA1022) with DAB as the chromogen. At -20°C for one year. After reconstitution, at 4°C for one month. It can also be aliquotted and stored frozen at -20°C for a longer time. Avoid repeated freezing and thawing. Rabbit IgG polyclonal antibody for GAD65 detection. Tested with WB, IHC-P, Direct ELISA in Human;Mouse;Rat. Each vial contains 4mg Trehalose, 0.9mg NaCl, 0.2mg Na2HPO4, 0.05mg NaN3. E. coli-derived human GAD65 recombinant protein (Position: K84-L182). Concentration: 0.5-1mg/ml, actual concentration vary by lot. 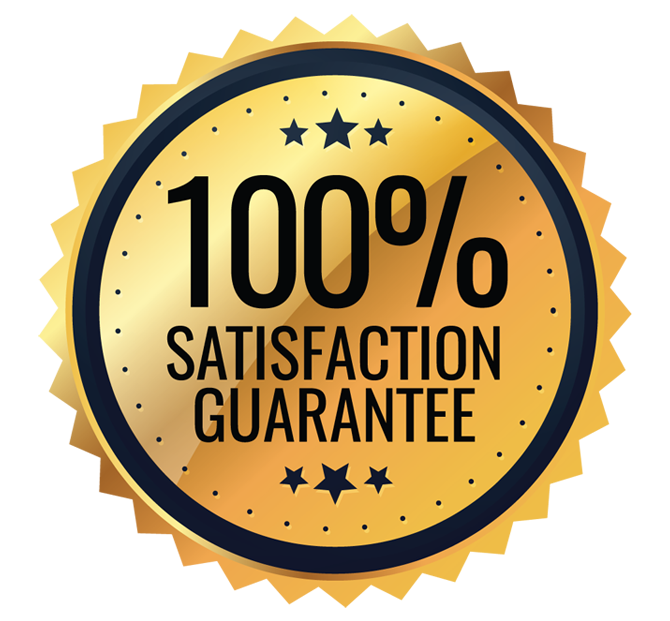 Use suggested dilution ratio to decide dilution procedure. 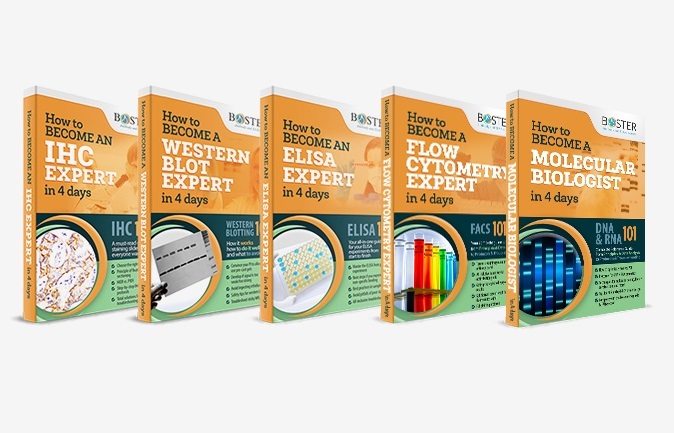 Boster recommends Enhanced Chemiluminescent Kit with anti-Rabbit IgG (EK1002) for Western blot, and HRP Conjugated anti-Rabbit IgG Super Vision Assay Kit (SV0002-1) for IHC(P). Catalyzes the production of GABA. Glutamate decarboxylase 2, also known as GAD65, is an enzyme that in humans is encoded by the GAD2 gene. This gene encodes one of several forms of glutamic acid decarboxylase, identified as a major autoantigen in insulin-dependent diabetes. The enzyme encoded is responsible for catalyzing the production of gamma-aminobutyric acid from L-glutamic acid. A pathogenic role for this enzyme has been identified in the human pancreas since it has been identified as an autoantibody and an autoreactive T cell target in insulin-dependent diabetes. This gene may also play a role in the stiff man syndrome. 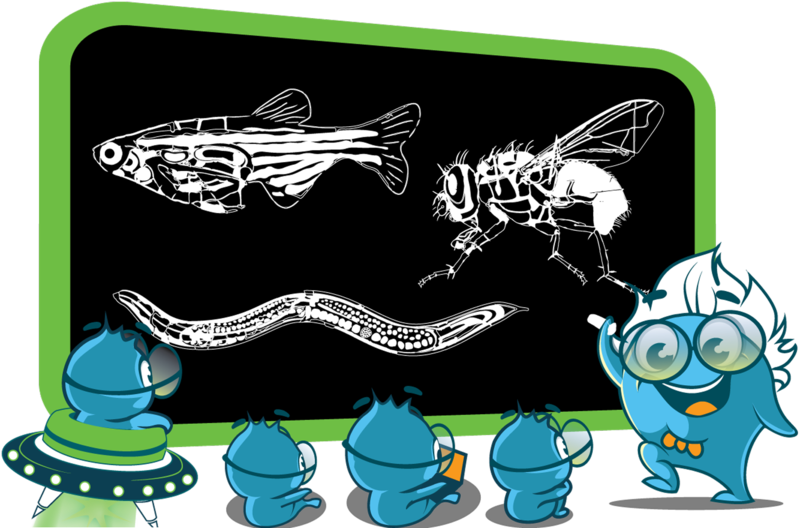 Alternative splicing results in multiple transcript variants that encode the same protein. $50 fee for conjugation. Antibody size is reduced to 50ug.